When Dan's girlfriend leaves him with no forwarding address, he is left holding the dog. Doggo is an ugly and unfriendly animal who was chosen by Clara (the ex) without any discussion with Dan. 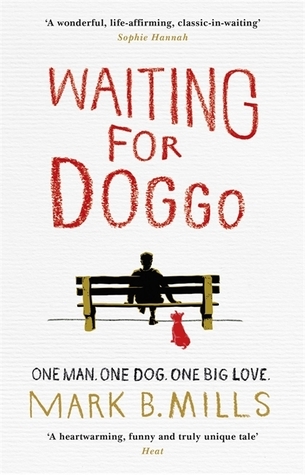 When Dan gets offered a new job with an advertising agency he claims the ability to take his dog to work is a deal breaker and Doggo is soon swept up in the office politics; clandestine affairs, plans to usurp the boss, and even a plot to get rid of Doggo. The novel centres on the budding relationship between Dan and his new artistic partner Edie, a bright a beautiful young talent who is having an affair with a married man in the office. 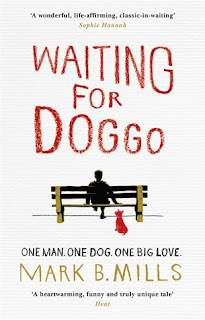 I felt that the title of the book was a bit of a misnomer given it implies Doggo plays more of a central role than he proves to. This is a more a story about wealthy pretentious thirty-somethings than any kind of meaningful or moving novel about a dog. Sure, it has its moments in terms of humour, and it's reasonably well written, but when something is described as 'chick lit for men' it should rightly raise alarm bells. This is the kind of disposable book which is fine when you're in need of a light read. It just isn't going to change your life.